The FIRM provides professional claims billing services for individual providers, clinics and facilities. We service all disciplines of practice, i.e., medical, dental, diagnostic testing, chiropractic, physical therapy, optometry/ophthalmology, mental health, chemical dependency, and durable medical equipment. We offer specialty services such as consultation, collections and appeals, contracting and credentialing, verification and preauthorization and personal injury settlement negotiating. We offer form development and revision services, office reorganization and personnel training. We have extensive experience in all areas of commercial insurance, Workers Compensation, personal injury, Third Party Administrators, Medicare, Medicaid, and other state and federally funded programs. We offer personalized services designed specifically to meet your needs. The approval from New York comes with a boatload of conditions, including enhanced consumer and health insurance rate protections, privacy controls, cybersecurity compliance, and a $40 million commitment to support health insurance enrollment. Approval comes two weeks after California gave stipulation-laden approval. Feds approved the deal last month. The $69 billion deal has the potential to fundamentally change healthcare delivery. 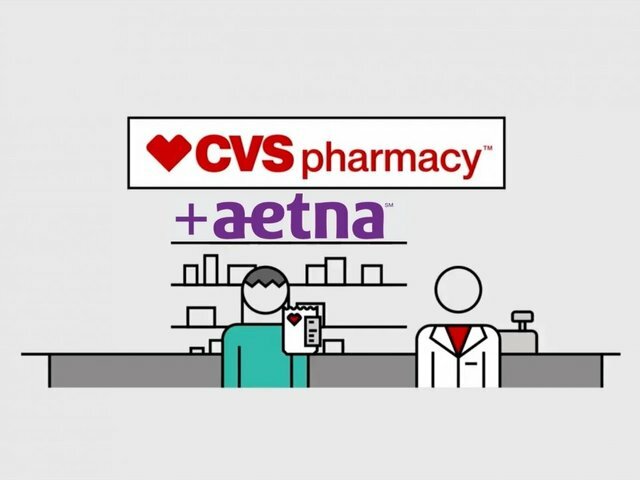 The megamerger of CVS Health Corp. and Aetna Inc. got the go-ahead Monday from New York state officials, clearing its last hurdle in a $69 billion deal that is expected to be finalized on Wednesday.The approval of New York’s Department of Financial Services comes with a boatload of conditions, including enhanced consumer and health insurance rate protections, privacy controls, cybersecurity compliance, and a $40 million commitment to support health insurance education and enrollment and other consumer health protections, DFS said in a media release. “DFS listened to the concerns of the public and has obtained significant commitments from CVS and Aetna to address those concerns, ensuring that the companies hold to their promises of reduced costs and improved health care for New Yorkers, not pass on the costs of this acquisition to New Yorkers, enhance data privacy, and not act in an anti-competitive manner going forward,” Financial Services Superintendent Maria T. Vullo said. “DFS will use its full regulatory authority to ensure that the companies adhere to these robust commitments and that both CVS and Aetna are held accountable for promises made to New Yorkers,” she said. The approval comes two weeks after the deal cleared another stipulation-laden approval from California. The federal government approved the deal last month. No funds from Aetna covering New Yorkers can be used to pay for CVS’s acquisition. Acquisition costs, including executive comp, cannot be passed on to any Aetna New York insurer. Increased health insurance rates cannot be sought in New York to pay for the deal, and premiums and cost-sharing owed by policyholders cannot increase. Dividends cannot be paid by Aetna without the prior approval of DFS for three years. The merged company must provide DFS with annual reports for three years documenting its progress toward achieving promised synergies. Aetna New York insurance products must be maintained for three years. One or more new products must be made available by Aetna to the small and large group markets within two years through a New York-domiciled insurer. New healthcare measures must include underserved communities. $40 million will be given to support health insurance education and enrollment and strengthen the state’s healthcare transformation activities. An independent third-party audit assesses whether Aetna employees have improperly accessed confidential information. Adherence to DFS’ s cybersecurity regulations is maintained. There is no preferential pricing to Aetna-affiliated health insurers in New York, including MCOs. Participating provider networks include non-chain New York pharmacies for three years. © 2016 The FIRM Services. All rights reserved.